It is cold here in Canada. It has been so cold for so long that I have forgotten what warm is. I can’t imagine spring – or things growing. 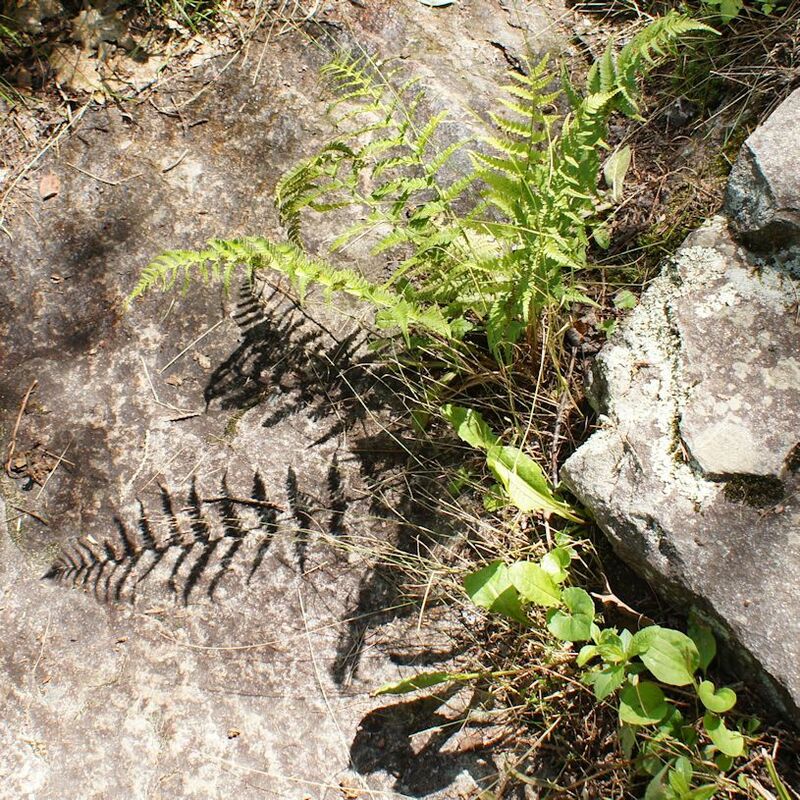 I was looking through my photos and saw this fern – I like the shadow it casts on the warm concrete. I have a bunch of Sibelius records because some musician that I liked noted in an interview that he very much admired Sibelius. So I went out to a used record store, or Goodwill, I forget witch, and bought a bunch of them. I listened but did not get inspired much. 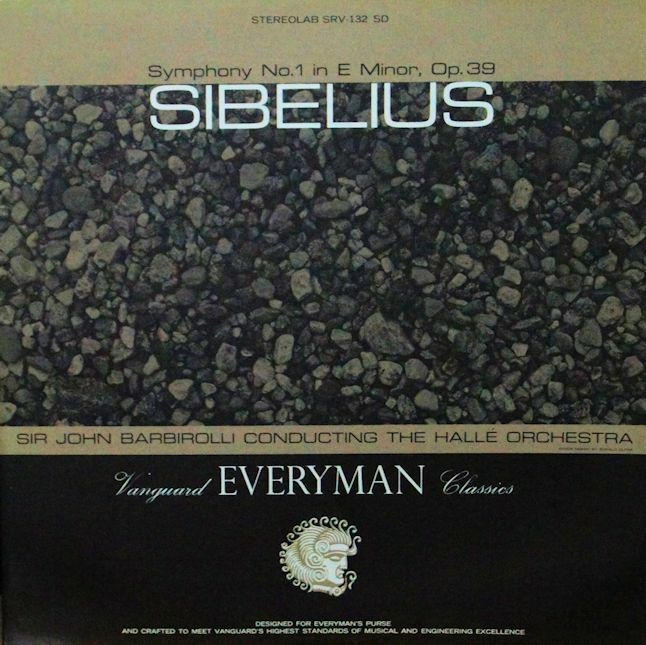 I grew to like Sibelius. The music is quite pleasant and it is very suitable for cold evenings when one is ruminating about life and staring out the window looking at a snowy scene that is lit up by a street light. I’m not sure this music would work on a beach in the Dominican Republic. I tried to find the date of this recording and so also found copies of this album on sale on eBay. It goes from 99 cents to just a tad under 14 dollars. I don’t think I paid more than two bucks for this album so I either overpaid by two or I got a very good deal. The music and the recording of this symphony is worth much more than the two bucks I paid for it. I should honestly try a really expensive Pinot Grigio and see if there is any difference to these sub $10 Pinot Grigio wines. I’ve tried ones that cost $15 or so and there is no difference. The most expensive Pinot Grigio at the LCBO, where most Ontarians buy their wine, is $34.95. That’s a 750ml bottle of Italian wine. For the same amount you can get 3 litres, in a box, of Copper Moon Pinot Grigio which I reviewed a while back. It’s not the best, but it will do. This one is much better. It is crisp, light and pleasant to drink. It is a very nice wine – a classic Pinot Grigio. The colour is quite pale, but that is par for the course for these types of wines. You could spend much more on a Pinot Grigio – but why would you? 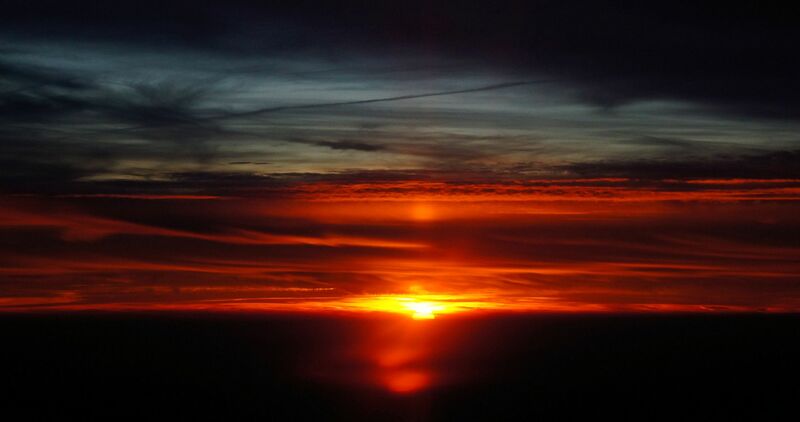 It’s a nice sunset and I am 3,500 meters (11,497 feet) above Iowa. So says my camera’s GPS and I think that is about right as I recollect. I remember flying and taking pictures as the other passengers tried to sleep, or play games on their tablets/cell phones. This is not a trivial album. This album makes you listen. Forget about doing anything while it is playing on the turntable – your consciousness will be focused on what is coming out of the speakers. It is a long album. 261 minutes and 57 seconds. (I looked this up online.) Covering five albums, this is a melange of spoken words, music and performance art. This is a recording of her piece United States Parts 1 – 4 and it is a real seminal work. It was repackaged somewhat to the more accessible Home of the Brave a few years later. I have been an Anderson fan since I saw and heard her song “O Superman” on a video channel. It was amazing. Still is. I heard about this album and was on a search for it for several years. Found it. Paid a not insubstantial, but not unreasonable, amount for it. And I now enjoy it very much. The music herein is very hard to categorize. Experimental, avant-garde, electronic, pop music, spoken word can all be used to describe the music. And these genres can be even applied all at once to individual songs. But I can go on and talk about the music and songs and movements and emotions and technology that makes this album great. Instead I will mourn for what is lost. The state of the music industry is such now that this album would never be released these days. This was not an independent release – this is a Warner Brothers record. The music industry used to take chances on great artists who performed great works, even though they might not be too commercially viable. It was a risk. This album and many of Anderson’s subsequent recordings were very successful. An alternative review is here. This is a heavy wine. There is substance to it. It is not earthy as some Portuguese wines can be but it is heavy in a much different way. It has a sour taste. Whereas most white wines are wines that enjoy sunshine and company, this one craves the darkness and solitude. It is a strange wine. I have sampled it cold and at room temperature and I really can’t make up my mind – is it a passable wine or one to avoind. There is no mistaking that it is an inexpensive wine. It is very unrefined and harsh, but it is not that bad, which makes this wine puzzling. It could be easy to say that I don’t like this wine – I don’t. But I don’t like many wines – some of which I gave good reviews to because they were good wines – just not suited to my taste. This wine … is OK, I guess. 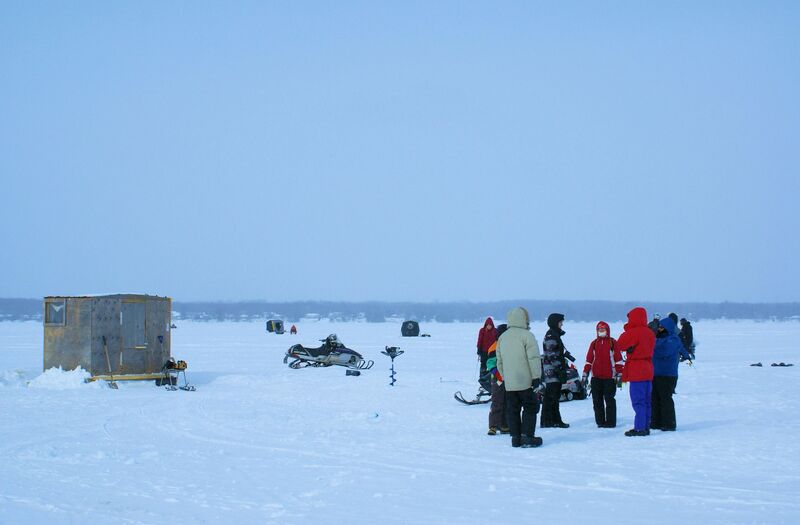 It is cold and we are outside gathered around a hole in the ice. We see many fish on the fish finder but they are not biting – in this instance they are smarter than us.